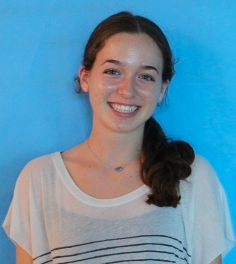 After an eventful summer, Audrey Bernstein ՚20 is returning to Inklings as an editor for the news section of the paper. With an already impressive resume and enough optimism to last her through junior year, she is ready to take on this new role. “Since middle school I feel like I’ve had this idea that journalism might be something I want to pursue,” Bernstein said. This summer, that is exactly what she did. At a program with the School of the New York Times, Bernstein worked on her reporting and writing in order to come back to Inklings with a new set of skills to apply. Although she has devoted much of her time to it, journalism isn’t her only passion. She also attended a summer program that taught girls how to code and she has co-created a club at Staples. The club is called Students Stand Up, and it was created to promote student activism.